Tom Brady and Peyton Manning are two quarterbacks who have raised the standard for how NFL quarterbacks are to be measured. Any football fan has undoubtedly seen them play, but Gary Myers shares what went into making these men the phenomenal players they are. 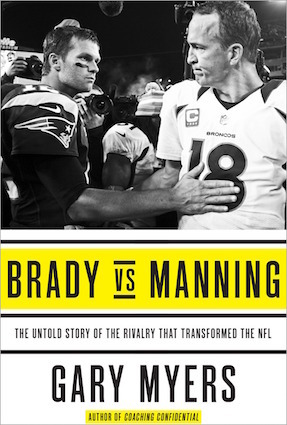 Brady vs. Manning—The untold story of the rivalry that transformed the NFL is a fascinating read! Everyone loves to cheer for their home team’s quarterback, but even “homers” will admit (sometimes reluctantly) that Tom Brady and Peyton Manning stand apart from the crowd. Their accomplishments on the field are well-known, but it’s what took place behind the scenes and out of sight from the cameras that contributed to making these two fierce rivals the extraordinary players they are. A debate often rages whether a leader in a particular field was born to greatness, or whether he made himself great. The answer is not either-or but both-and. As Gary Myers digs into Brady and Manning’s past we see several factors converging: genes, family environment, talent, a little bit of luck, and a whole lot of hard work and perseverance. Many times Myers’ story shows how the lives of Brady and Manning intersected—sometimes they knew it, and sometimes they didn’t. But many of the chapters zoom in on the individual quarterbacks in various aspects of their development. We get to see the support from their families, the impact of their decision on where to go to college, how the NFL draft could have played out differently for both of them, the advantages and disadvantages of various coaches and teammates, and (of course) their fierce head-to-head rivalry. One of the cool things for me was the respect and friendship these two highly competitive athletes have for each other. There were also several other moments that made me realize how special these two men have been for the NFL, and what a privilege it’s been for me to watch them compete on such a high level. After reading this book, I have even great respect for these two premier quarterbacks. Any sports fan will thoroughly enjoy Brady vs. Manning! 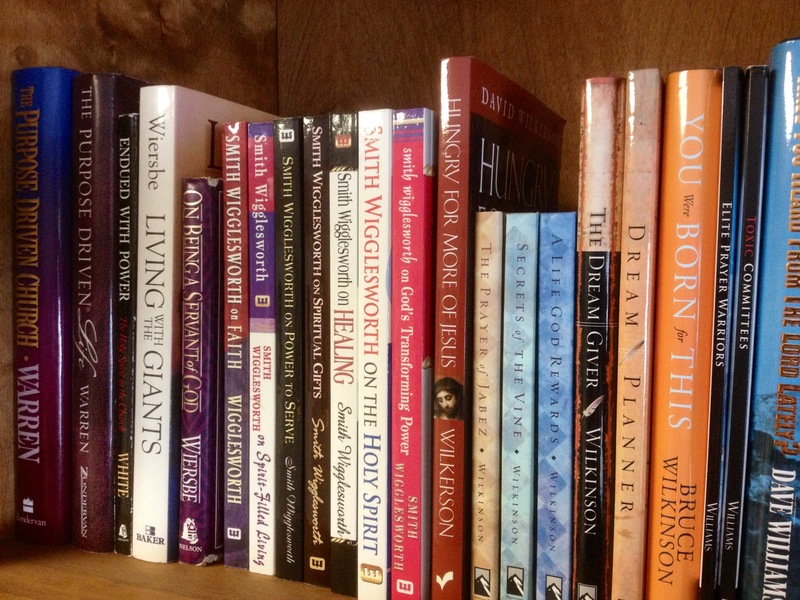 I am a Three Rivers Press book reviewer. This is a great inside-the-huddle conversation with Tom Brady and Josh McDaniels on the final two touchdown drives of Super Bowl XLIX. Frank Viola has funny cartoon asking what if 21st-century Americans lived in Christ’s day? Detroit Tigers fans, this is a great story about how George Kell won the batting title on the last day of the season. Scary, scary stuff: China is building up their military specifically to confront the USA. An interesting look into the minds of voters in the millennial generation. Good news: the abortion rate in the US is declining. Bad news: our abortion rate continues to rank near the highest quartile among Western nations. Nearly 500 NFL players were cut this past week, as the NFL teams got down to their 53-man roster. The media, however, is obsessed with just one player: Michael Sam. Can you say, “agenda”? Frank Viola has a challenging word to Christians in the quote he shares from A.W. Tozer: Recovering The Departed Glory. Claiming Jesus is not what many think it is, says Chilly Chilton in his post: Name It, Claim It, Proclaim It! “When we don’t know that life is a war and satan is the enemy, or forget when we need to know it most, we can’t make sense of our struggles, suffering, and strife.” Read more of Mark Driscoll’s post Spiritual Warfare: Who, What & Why. 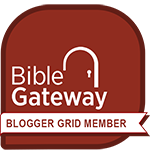 The Overview Bible Project always uncovers some cool things in Scripture. Like this post about what Beelzebul really means. Why is it organizations are not allowed to hire a Christian, but at that same time are encouraged (forced?) to hire homosexuals? The story of David Tyree is a case-in-point. Sidelined was a book I could hardly put down: such a compelling story of love, and family, and overcoming adversity! You can read my full book review by clicking here. Below are some quotes I highlighted in this book, unless otherwise noted all of the quotes are from Coach Pagano. Every once in awhile I come across a book that is hard to put down. 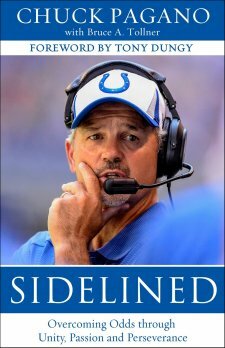 Sidelined by Chuck Pagano, the head coach of the NFL’s Indianapolis Colts, is just such a book. Before I lose anyone who says, “Football? Not interested,” let me assure you that this is not a football book. This is a great story of near-tragedy and triumph that happens to have a football coach as its main character. This is a book about family, and faith, and teamwork, and pulling together, and overcoming. It’s a love story with a happy ending. It’s a great book! In a nutshell, Chuck Pagano is hired as the head coach of the Colts, the first time in his career he has gotten a shot at being a head coach. Just a couple of games into his very first season, he is diagnosed with leukemia and sees his coaching responsibilities immediately halted. He enters into a life-and-death struggle with cancer, and ultimately beats it. But the real triumph of the story is the way his diagnosis pulled together a whole city, and even other NFL cities, to raise awareness of this dreaded disease. Sidelined doesn’t really have an ending, because Coach Pagano’s career is still ongoing, and so is the fight against leukemia. After reading this book, I’m not only cheering for Coach, but I’m also cheering on those in the fight of their lives against cancer as well as those searching for a cure for this disease.